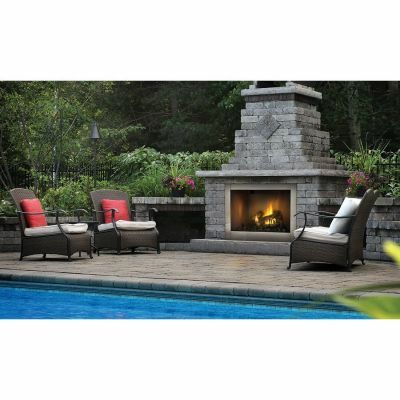 Create a breathtaking focal point in your backyard with this outdoor gas fireplace. Napoleon’s Riverside™ 42 Clean Face fireplace is weather resistant due to it’s 100% stainless steel construction for maximum durability. Featuring Napoleon’s exclusive PHAZER® log set and stainless steel clean face surround, you are bound to enjoy an unobstructed view of the beautiful flames. Let your imagination flow with endless possibilities - no venting or chimney requirements means installation is simple and easy.